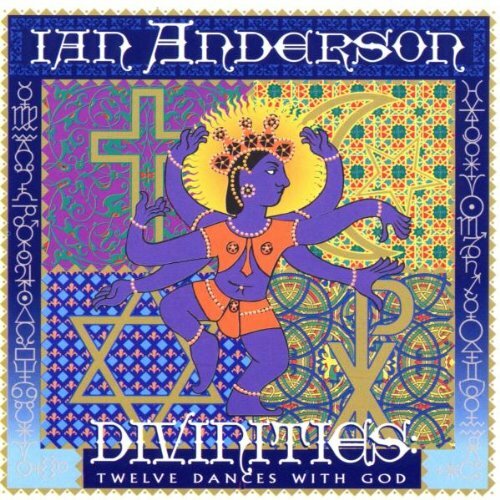 All 12 tracks on “Divinities” are instrumental and are influenced by different ethnical musical traditions: Celtic (“In the Grip of Stronger Stuff”), Spanish (“In the Pay of Spain”), African (“En Afrique”) and so on. Anderson undertook a solo tour in 1995, playing the entire album, start-to-finish, as the first half of the concert. The second half was Jethro Tull material, many played as an instrumental version. The band was composed of Jethro Tull members Andrew Giddings and Doane Perry, future Tull member Jonathan Noyce, and Chris Leslie.